Looking for something to read during the holidays? Like a quick, fun read with a little spice? 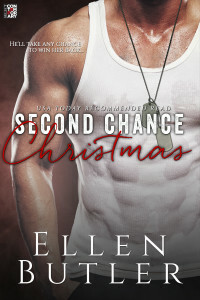 Look no further – Second Chance Christmas is now available at Amazon. “Nice ride.” He spoke in a neutral tone. “Thanks.” I shifted into gear and pulled away. The heated seats quickly warmed the chilly car. I wove my way through the city streets, heading toward I-395. With the hour so late, the highway would be free of heavy traffic and the fastest way to get to Colton’s condo in Shirlington, Virginia. I pulled into a street parking space and came to a stop, my hands rested on the steering wheel. “Where have you been staying?” If he gave me an address in Maryland, I would reach across the console and strangle him. It was now a quarter past one in the morning. I had zero interest in schlepping him to some friend’s house in Rockville or Bethesda. “Yes, of course!” His sarcasm cut me to the quick. Our relationship might have ended on an acrimonious note, but I certainly didn’t wish him pain. The tension in the car was so thick you could slice it with an X-Acto. Hurt, anger, and guilt that I thought I’d come to terms with two years ago welled up to form a choking lump in my throat. Colton clamped his teeth and his jaw muscles flexed, whether from pain or hostility, I didn’t know. His ability to hide his emotions had been one of the strike points in our relationship. That’s what came from dating an Army intelligence officer. They were trained to suppress their true feelings. This wasn’t the first time I had no idea what he was thinking. However, considering our last parting shots at each other, I could surmise his thoughts weren’t pleasant. I ceded the staring contest. My eyes shifted to gaze blankly out of the windshield at the white Camry in front of us. My chestnut curls fell forward to shield my face and emotions from him. “Why? Did I drag you away from a hot date?” he bit out. “He’s not a Frog. He’s French. He’s a security specialist at the Embassy,” I squawked defensively. Thanks to Jan Meredith for recommending your books! I’m off to 1-click! Fantastic excerpt Ellen. You have me hooked, now I have t go find the book. This sounds so good. Glad to find a new to me author! Thanks for playing! Happy reading! Oh my, Ellen. You’ve hooked me! I’m off to Amazon – and I said I wasn’t going to do that anymore! Great excerpt! Best of luck! Wow Ellen. I had no idea. I look forward to reading more. Wow, Ellen. I had no idea! Looking forward to reading more! Interest grabbing beginning and a timely topic. Good luck with this book.